Radiation from equipment like x-rays, CT, MRI scanning and from radio pharmaceuticals are harmful if people are overexposed to them. Even if they are used to detect improper functioning of internal organs and to cure certain diseases, people around should be exposed to only permeable amounts of radiation. To regulate the intensity of radiations scattered by this equipment, they are shielded with lead. Lead is the most malleable of all common metals, can be easily shaped / bent/cut and is resistant to corrosion. Due to its density, lead is the best and most affordable shielding product. Lead radiation shielding products are not only used in the medical field, but also in military, nuclear power industries and other industries for protection from radiation. Medi-RayTM is the industry leader in lead radiation shielding products, and produces a range of products to meet different industrial requirements. Medi-RayTM uses timely and cost-effective methods of producing quality lead products. Medi-RayTM applies the latest software technology to achieve required customer’s design, reduce costs, improve overall quality, and adapt to product revisions and improvements. Medi-RayTM ‘s production foresight enables customers to incorporate the latest technology advancements with no increase in costs. If are in need quality lead radiation shielding products, then call Medi-RayTM at 877-898-3003. Since 1974, Mediray has been the largest supplier of radio-pharmaceutical shipping containers. 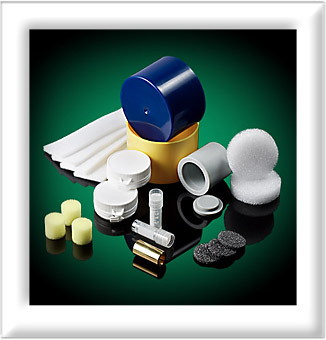 Mediray is mainly known for shielding radioactive products, X-ray, PET, CT or MRI equipment. Lead is used for the shielding of radioactive products. Lead is the best metal in providing protection from various sources of radiation. It has become a standard in the design of Radiation Protection systems. Lead shielding refers to the use of lead to shield or protect people or objects from radiation. Because of its high density and high atomic number, lead can fade certain kinds of radiation. And that’s why lead is used as radiation protection in applications ranging from x-ray imaging and PET rooms to nuclear reactors. Thickness is not enough for a material to attenuate radiation. There are certain characteristics that are required in a material to use as radiation shielding. Shielding material should have high density and high atomic number, which in turn is better attenuator of x-rays and gamma rays. Shielding material should have good heat conductivity. Shielding material must be resistant to radiation damage. Shielding material should have required thickness and weight. Apart from the above characteristics, you should also consider the cost of shielding material, transportation and installation. Also, take into account its wastage and scrap value; and availability and ease of shielding material. The properties of lead are its high density, high atomic number; high level of stability, ease of fabrication and availability makes it excellent shielding material. Lead has extremely low-level neutron absorption and practically no gamma radiation. It cannot become radioactive. Even after long exposure of neutrons, lead emits an insignificant amount of radiation due to activation. Lead is not too dense, but it is readily available, easily fabricated and is less expensive than other high-density materials. Lead is more uniform throughout as compared to other materials. Lead is less likely to become contaminated with dirt, which in turn may become radioactive. Lead can be immediately available for reuse, adaption or for sale as scrap. For radiation shielding various forms of lead are used. The shielding of containers for radioactive materials is usually metallic lead. Radioactive materials in laboratories and the medical industry are usually handled by remote control from a position of safety. Personal shielding includes lead aprons (such as the garment used during dental x-rays), thyroid shields, and lead gloves. There are also shielding devices available for laboratory equipment, including lead castles, structures composed of lead bricks, and thick containers for storing and transporting radioactive samples. We understand why lead is the best shielding material. Mediray is devoted to innovation in lead metal technology as it mainly deals with shielding of X-ray, CT, PET, MRI equipment.